Submitted by witness on Wednesday, January 27, 2016. TIME AND CONDITIONS: Evening getting dark.. hot just after rain.. The witness found several footprints although only one photographed well. The big toe and four toes were visible. He stated that the footprint measured seventeen inches long by eight inches wide. 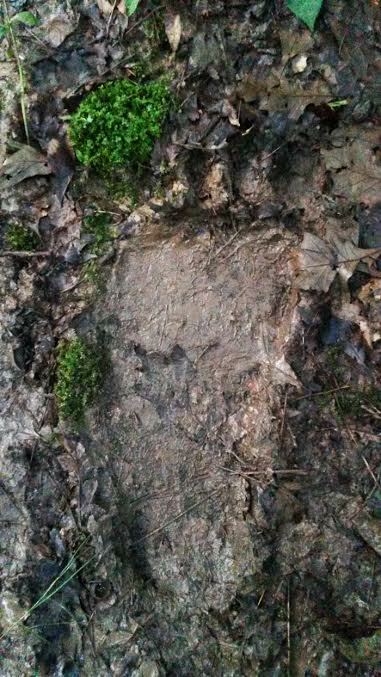 The footprint was in mud after rains in the area.